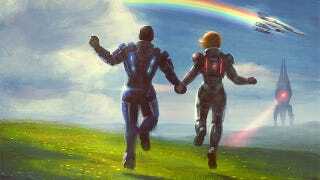 It may have been extended, but the "new" Mass Effect 3 endings still didn't give me the closure I needed. I didn't want touching moments and galactic melodrama. I wanted rainbows.